Update 11/15: This morning, New York City police cleared the Occupy Wall St. encampment at Zuccotti Park, arresting about 70 protesters. Mayor Michaael Bloomberg issued a statement saying he ordered police in because the park was becoming a "fire and health hazard." Bloomberg also said protesters can return to the park, but can't sleep there. But what constitutes a reasonable time, place and manner restriction? "It depends on the context and circumstances," said Geoffrey Stone, a professor specializing in constitutional law at the University of Chicago. "Things like noise, blockage of ordinary uses of the place, blockage of traffic and destruction of property allow the government to regulate speakers." 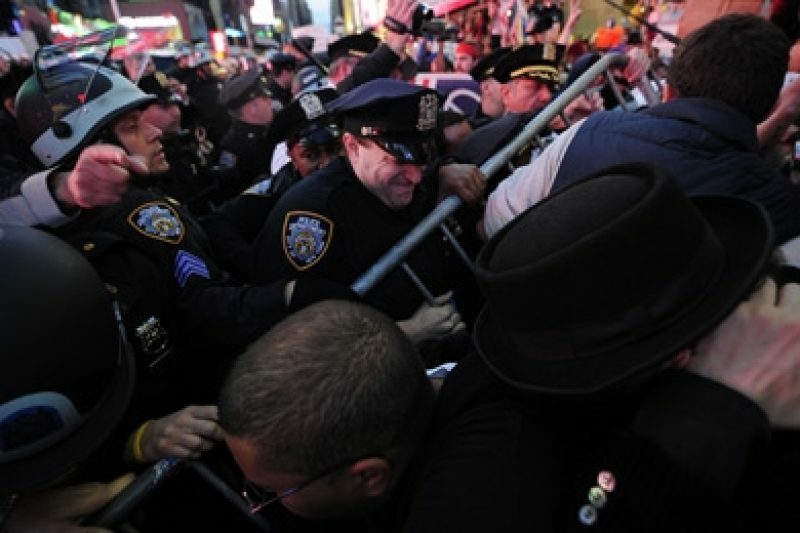 The majority of Occupy Wall Street-related arrests have been on charges of disorderly conduct. Under the New York Penal Code, that includes making "unreasonable noise," obstructing "vehicular or pedestrian traffic," or congregating "with other persons in a public place and refus[ing] to comply with a lawful order of the police to disperse." Basically, the central question is the standard of reasonableness. "You have to tolerate a certain amount of inconvenience in order to make room for First Amendment activity, but not so much that it disrupts things," Stone said. Individual states' unlawful assembly and disorderly conduct statutes have to fall in line with this standard. "They can regulate it less if they want to," Stone added, "but not more." "The owner of the private property can lawfully evict [protesters] the same way you can toss someone out of your house if you don’t like them," Stone said. "When police act at the request of the owner, they’re not doing anything that violates the First Amendment." 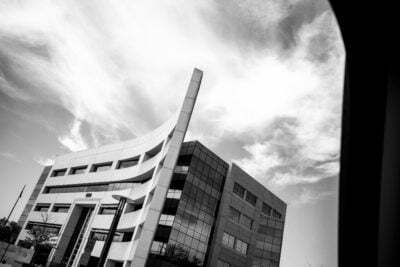 The Fourth Amendment "reasonableness" inquiry is whether the officers' actions are "objectively reasonable" in light of the facts and circumstances confronting them, without regard to their underlying intent or motivation. The "reasonableness" of a particular use of force must be judged from the perspective of a reasonable officer on the scene, and its calculus must embody an allowance for the fact that police officers are often forced to make split-second decisions about the amount of force necessary in a particular situation.